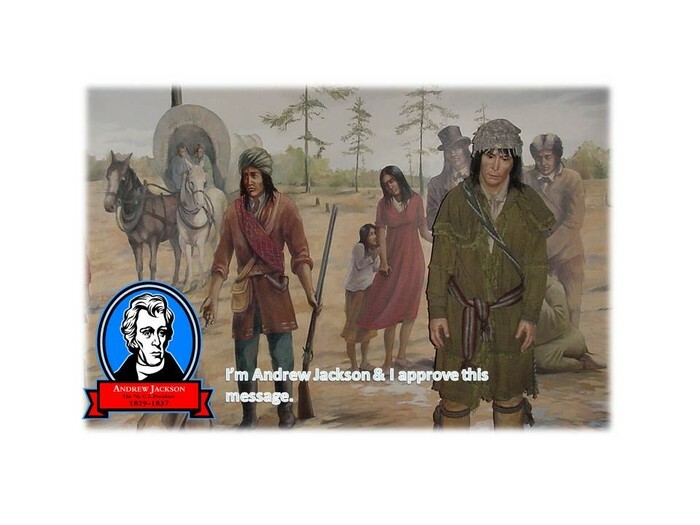 After a court case & a ruling saying the Cherokee tribe did not have to move off their land, Andrew Jackson forced the Cherokee Indians off their land (land that their ancestors had lived on for generation) at gun point and walk thousands of mile's to a "Indian territory" across the Mississippi. This tragic walk was known as the "Trail of Tears". Get the full story of the Trail of Tears, the U.S. government-ordered removal of tens of thousands of Native Americans from their homelands in the southeastern United States to new lands west of the Mississippi River. 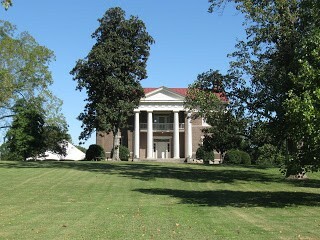 Andrew Jackson calls himself the "Common Man" but by the end of his Presidency he owned a mansion called The Hermitage and owned 150 slaves. 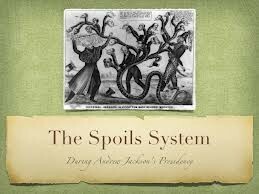 Andrew Jackson used the spoil system where he gave government jobs to voters in reward for supporting him.